When it comes to Opportunity Zones, investors are excited about the potential for tremendous tax savings, but many are not buying in just yet. What’s the problem? Lingering questions about how, exactly, Opportunity Zones work have left investors feeling gun shy. 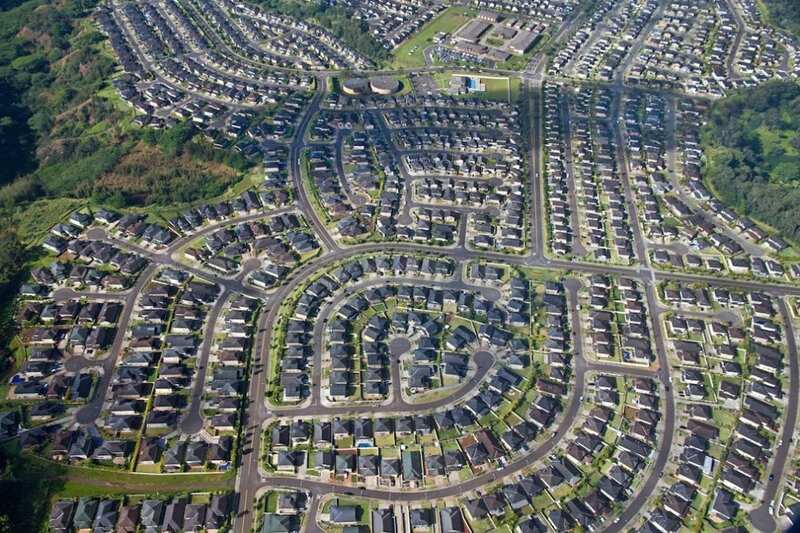 The Department of the Treasury is tasked with issuing the regulation that guides Opportunity Zones, and it’s expected to release a second round of rules through the Internal Revenue Service to provide clarification in the coming weeks. In the meantime, the Department of Housing and Urban Development is planning to issue a formal Request for Information on Friday to seek input from the public on how the agency can use its authority to maximize the impact of these tax incentives to help the distressed communities they are intended to benefit. Created by the Tax Cut and Jobs Act of 2017, Opportunity Zones seek to spark economic development in distressed areas by encouraging long-term investments through significant tax breaks. More than 8,700 communities that are home to approximately 35 million Americans have been designated as Opportunity Zones. Investments in these areas must be made within 180 days of receiving the capital gains, which can come in the form of stocks, bonds, real estate or partnership interests. But the capital cannot be invested directly into a property and funds must invest 90% of their capital into Opportunity Zone properties. Shareholders will be rewarded with tax breaks based on how long they keep the interest in the funds. Those who keep their investments for five years will pay no taxes on 10% of their gains; at seven years they will pay no taxes on 15% of gains; and if they hold their investments for 10 years, they pay no taxes on their gains at all. The potential savings here is clearly enticing for investors, but many are wary of diving in. According to an article published Wednesday by Bloomberg, the tax opportunity has created a “frenzy” among accounting, law and real estate firms as well as private client groups, with numerous financial entities issuing white papers and hosting well-attended seminars that excitedly detail the tax benefits. But despite the avid push from developers, accountants and law firms, few investors are taking the bait. While HUD estimates that Opportunity Zones could spur as much as $100 billion a year in investments, evidence suggests this potential is far from being realized. Bloomberg noted that real estate data firm CoStar Reality Information is tracking the progress of more than 258 funds, but a database that specifically tracks these funds – OpportunityDB – reported only 88 funds that have raised a total of $26.4 billion as of this month. Alfonso Costa, HUD’s deputy chief of staff, said the agency could not confirm any published stats on the number of existing funds or the capital raised so far. But he did say that he expects the Treasury’s pending second wave of guidance to spur more action. HousingWire reached out to the IRS for details on the release of new guidelines but had not heard back as of press time. For its part, HUD is seeking comment on what it can do to aid in the uptake of this program and ensure that the residents living in Opportunity Zone communities receive the intended benefit. Costa said more than one third of HUD’s public housing units reside within Opportunity Zones, and that 2.4 million people living in these areas receive rental assistance from HUD. He also noted that HUD insures more than $14.5 billion worth of multifamily property mortgages in these economically distressed areas. Specifically, HUD is soliciting comments on whether the creation of an information portal would be useful; if it should focus more intently on urban areas; what types of technical assistance would be useful to participants; how the program could be used to combat homelessness; and ideas as to how the agency can ensure residents, business and community organizations benefit from the influx of investment. Interested parties have 60 days to submit comment (which can be done here). Costa said the Request for Information is one of many things the department is doing to engage the public. It will also be hosting “listening sessions” across the country led by Scott Turner, who was recently appointed executive director of the White House Opportunity and Revitalization Council. “We have a genuine interest in making sure that the public’s ideas are infused into the actions that we take, which we hope will complement what local and state jurisdictions adopt in their Opportunity Zone ideas and initiatives and in their economic development plans at large,” Costa said. HUD Secretary Ben Carson also weighed in. “Through this request, we are looking to better understand how HUD can better tailor its policies and help Opportunity Zones create more positive economic outcomes for the millions of Americans that live in these areas, and for our country as a whole,” he said in a statement.